Embedded in the DNA or LifeAssist, is a culture of care that pervades our relationships with clients, colleagues, affiliates, service providers and the broader community where we have influence. Corporate social responsibility (CSR) begins at home – with our people. We recognise that our people generously invest their talent, knowledge and energy. In return we ensure that the business is sustainable. ‘Giving’ is an essential ingredient for wellness. As a matter of integrity, we invest company resources and encourage our people to give of their time and talents to touch lives in the community in which we live, to uplift, support and empower people with special needs. 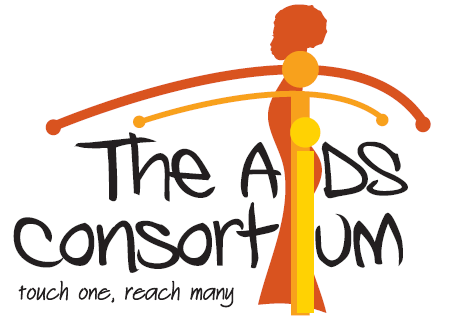 The REEA Foundation is one of the initiatives adopted by LifeAssist. 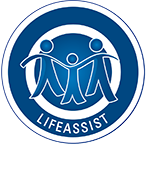 LifeAssist actively supports the REEA Foundation as an Enterprise Development (ED) Programme – lending expertise of our Chairman (Angus Rowe) and Managing Director (Chris Stevens) as business mentors to ensure that the foundation is sustainable, and by initiating income-generating projects. The involvement of businesses and volunteers is welcomed. Can you imagine the impact of 950 bright yellow beach balls bouncing around at the Golden Valley Sibaya Casinos? What a colourful announcement of the forthcoming wellness days, and this was achieved thanks to REEA’s diligent team who attached the Save-the-Date teaser and packed the boxes – all this in record time of only 2 days! Karen SimpsonProject Manager, One Sun Wellness! No enterprise can exist for itself alone. It ministers to some great need, it performs some great service, not for itself, but for others; or failing therein it ceases to be profitable and ceases to exist. US President Calvin CoolidgeProject Manager, One Sun Wellness! REEA Foundation (previously known as REEA Care Centre and originally as the Rand Epilepsy Employment Association) is a charity that was founded in 1935 by doctors at the Lady Dudley Nursing Home in Johannesburg. The Foundation is situated in idyllic settings on the banks of the Braamfonteinspruit in Craighall Park, Johannesburg. For the last 76 years the Foundation has relied on government grants and the very generous goodwill of a number of companies as well as individuals, both in our country and abroad. REEA is a registered not for profit or gain organization (section 21 company). Its primary focus is the provision of 24/7 care for more than 40 epileptics and persons with mild neurological disorders. REEA’s mission is to nurture a culture of excellence through commitment and professionalism to enhance the functioning level and quality of the life of people with physical and mental disability, entrusted to its care by providing protective employment opportunity, for those who are able and offering scope of advancement. Further to assist through continuous spiritual, moral, medical and residential support. All therapeutic interaction with residents operate within the framework that views our residents as multi-dimensional physical, emotional, psychological, spiritual socio-economic, political and ethnic self. Within this framework residents are treated equally, irrespective of colour, creed, religion, socio-economic standing or cultural background. Residents should be treated with respect and human dignity at all times. In line with our core business, we are able to provide psycho-social supervision and counselling in our ‘Care for the Caregivers’ programme – supporting the care givers who work in our CSI projects. Their wellbeing is critical as there is a shortage of resources in a region where there is a growing burden of care.